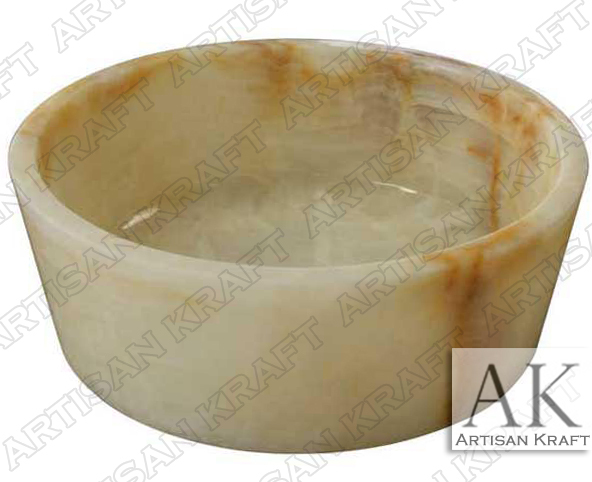 Orange Onyx is a beautiful natural stone and anything carved from it looks great including this Orange Onyx Artsink. This is uniquely designed and beautifully polished onyx. This is one of the colors that we offer, green is another. This unique natural material has a milky honey like crystal look. Cylinder style bowl sink. All of our sinks are great for any style bathroom setting. Including contemporary and traditional home styles.